CANBERRA, Australia, June 14, 2012 (ENS) – Australia is poised to safeguard the largest network of marine reserves anywhere in the world, covering 40 percent of Commonwealth waters. The Gillard Government today released the final marine reserve map, drawn after 12 months of public consultations with marine and tourism business representatives, environmental groups and members of the public through 250 meetings across the country. 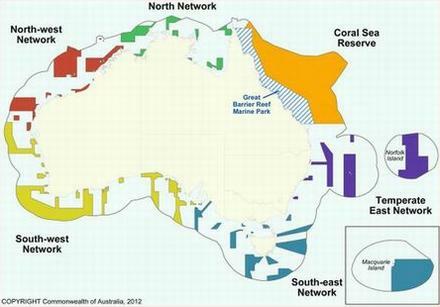 Once proclaimed under national environmental law, the conservation measure will increase Australia’s marine reserves from 27 to 60, expanding the national network to cover 3.1 million square kilometres (1.2 million square miles), by far the largest representative network of marine protected areas in the world. The designated reserves are inhabited by 45 of the world’s 78 whale and dolphin species, six of the seven known species of marine turtle, and 4,000 fish species. The final reserve network map was published just ahead of the UN’s sustainable development summit, Rio+20, in Brazil, which Burke will attend with Prime Minister Julia Gillard next week. Together the Great Barrier Reef Marine Park and the Coral Sea Commonwealth marine reserve will become the largest adjoining marine protected area in the world, covering 1.3 million square kilometres. “Some critically important areas like the Coral Sea, the ‘Serengeti of the Seas,’ will be safeguarded from damaging activities like bottom trawling, oil and gas exploration and seabed mining,” said Kindleysides. “The near-pristine wilderness of our tropical Coral Sea is one of the last remaining places on Earth where populations of large ocean fish and healthy coral reefs still thrive. We can be proud that future generations will be able look back and realise that we protected such globally important seas while we had the chance,” he said. The Australian Conservation Foundation praised the government’s move. “This world class network of marine reserves is a historic conservation achievement that makes Australia a global leader in ocean protection,” said ACF chief executive Don Henry. 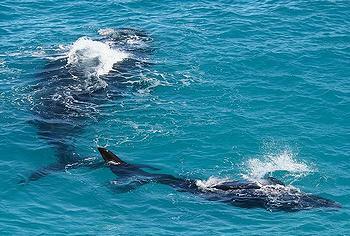 But Henry warned that the Coral Sea is not completely protected from oil and gas exploration. “Although the reserve network bans oil and gas exploration in the Coral Sea, the north west region has been left vulnerable to these threats,” he said. “With Australia’s magnificent natural endowment of unique marine biodiversity comes a responsibility to protect our oceans from the risks of bottom trawling and oil and gas exploration,” said Henry. The Coral Sea Region, an area of more than half the size of Queensland, that supports critical nesting sites for the green turtle and is renowned for its diversity of big predatory fish and sharks. The network includes protection for all reefs in the Coral Sea with the final proposal adding iconic reefs such as Osprey Reef, Marion Reef, Bougainville Reef, Vema Reef, and Shark Reef included as marine national parks. The South-West Marine Region extends from the eastern end of Kangaroo Island in South Australia to Shark Bay in Western Australia. It is of global significance as a breeding and feeding ground for southern right whales, blue whales and the Australian sea lion. Features in the South-West region include the Perth Canyon – an underwater area bigger than the Grand Canyon and the Diamantina Fracture Zone, a large underwater mountain chain which includes Australia’s deepest water. The Temperate East Marine Region runs from the southern boundary of the Great Barrier Reef Marine Park to Bermagui in southern New South Wales, and includes the waters surrounding Lord Howe and Norfolk Islands. It is home to the critically endangered east coast population of grey nurse shark, the vulnerable white shark and has important offshore reef habitat at Elizabeth and Middleton Reefs and Lord Howe Island that support the threatened black cod. The North Marine Region includes only the Commonwealth waters of the Gulf of Carpentaria, Arafura Sea and the Timor Sea extending as far west as the Northern Territory-Western Australian border. Globally important nesting and resting areas for threatened marine turtle species including flatback, hawksbill, green and olive ridley turtles will be protected, as will foraging areas for breeding colonies of migratory seabirds and large aggregations of dugongs. 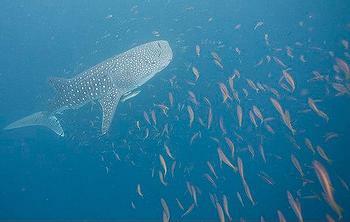 The North-west Marine Region, stretching from the Western Australian – Northern Territory border through to Kalbarri, south of Shark Bay in Western Australia, is inhabited by the whale shark, the world’s largest fish. This area provides protection to the world’s largest population of humpback whales that migrate annually from Antarctica to give birth in the water off the Kimberley. 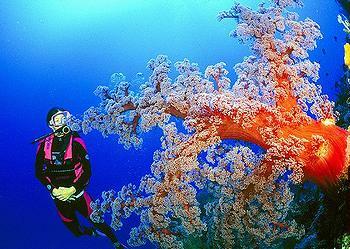 It is expected that the final marine reserves will be declared before the end of the 2012. Over the coming months, the Gillard Government will consult the fishing industry and fisheries management agencies on the design and implementation of a fisheries adjustment assistance package, said Burke. Large parts of the new marine reserves will be zoned to allow a range of uses to continue as long as they are consistent with the primary objective of protecting the conservation values of the reserves, the government says. Highly protected zones will be included in the network of new marine reserves. These zones will be managed to preserve the area in an undisturbed and unmodified condition, so extractive activities will not be permitted in these zones. Henry and Kindleysides both said their organizations will continue to work with governments, the community and other stakeholders to improve protection for important areas that have been left vulnerable to fishing or mining, including critical turtle and dugong habitat in the Gulf of Carpentaria, blue whale feeding grounds off Kangaroo Island, coral reefs off the Kimberley coast, as well as the Albany Canyons and Rowley Shoals off Western Australia. But the minister said it is now too late to change the marine reserve boundaries.